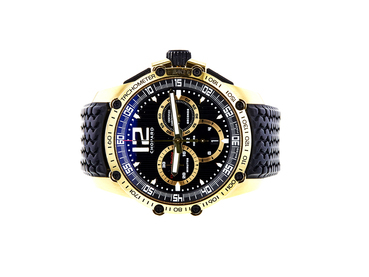 Welcome to Worthy.com, where our experience in selling luxury watches can help you get the highest offer possible for your Chopard watch. 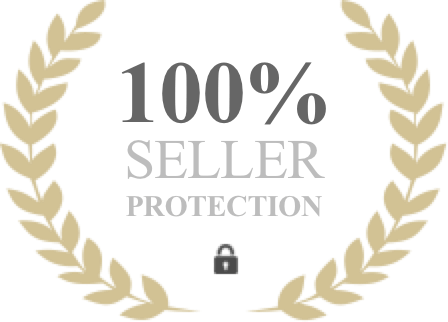 At Worthy, we pride ourselves in our expertise, and handle the transaction for you from start to finish. Your watch will be evaluated, photographed, and presented to watch buyers around the world. You can get the highest market value for your Chopard without even leaving your home. Value: We make sure you receive the highest price possible when you sell your Chopard. We place your watch in front of hundreds of qualified, interested buyers from across the globe, and let them bid on your Chopard. When you sell your Chopard with Worthy, we make sure that you get the highest price that the market will pay. Trust: We are licensed & certified by the NYC Department Consumer Affairs and accredited by the BBB. Beyond our certification and licensing, we pride ourselves on having extremely high ethical standards and only act in the best interest of our customers. Specialization: We partner with experts that specialize in evaluating luxury watches, gems and fine jewelry resulting in professional, objective evaluation that instill buyer confidence. Moreover, our account managers have been helping clients resell their luxury items for years and are dedicated to getting you the most for your valuables. Simplicity: We do all the work for you from beginning to end. When you sell your Chopard, we know that you desire an easy, professional experience. We are proud of our professionalism, expertise, and our ability to make the transaction as simple and painless as possible so our clients can relax and collect their cash. Most importantly, Worthy allows you to have final approval at the end of the auction -- if the price does not meet your expectations, you have no obligation to sell the watch. Worthy uses a unique auction platform that places your Chopard in front of interested and qualified watch buyers who have expressed specific interest in owning a Chopard. We maintain low overhead with independent evaluators and circumventing many of the expenses associated with physical stores. This low overhead allows Worthy to ensure that you are compensated with the highest value possible when you sell your Chopard. Our independent evaluation services are a point of pride for Worthy. When entering a watch auction, buyers want to be sure that the evaluator, as well as the equipment used, is the best in the industry, bar none. At the young age of 24, Louis-Ulysse Chopard created L.U.C. Manufacturing (to later be called Chopard) in Sonvilier, Switzerland in 1860. Chopard specialized in expertly crafted pocket watches and chronometers (extremely accurate timepieces used for marine navigation). After 77 years in Sonvilier, now under the leadership of Louis-Ulysse Chopard’s grandson, Chopard moved its headquarters to Geneva. It was in Geneva that Chopard began manufacturing the luxury wristwatches that they are known for today. In 1963, the company was sold to Karl Scheufele III, a German watchmaker, in an effort to reinvigorate and modernize the brand. Under Scheufele’s leadership, Chopard began exploring new product lines and markets. 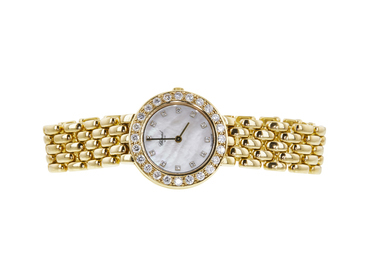 In 1975, Chopard introduced the revolutionary “Happy Diamonds” watch, which featured free-floating diamonds contained in the face of the diamond. In addition, the company began creating high end jewelry and accessories. Currently, in addition to many other products, Chopard produces multiple men’s and women’s collections, including Classic Racing, Happy Diamonds, L.U.C, Classic, Imperiale, and La Strada. 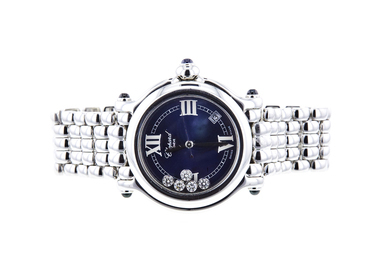 The Happy Sport model, contained in the Happy Diamonds collection, continues to be one of Chopard’s most popular watches, and comes in many unisex designs. In addition, the L.U.C collection remains one of the company’s most popular and valuable models, and is commonly sold for large sums during resale. To learn how to pronounce Chopard and other luxury watch brands correctly, click here. Mille Miglia: The Mille Miglia, part of the Classic Racing collection, is named after an Italian race that ran from 1927 to 1957. Besides being one of Chopard’s most popular models at resale, the Mille Miglia has an incredibly precise chronograph (stopwatch), in addition to displaying dual time zones. COSC certified. L.U.C Sport: One of the many popular models of the L.U.C collection, the Sport combines classic luxury and expert craftsmanship for those who lead an active lifestyle. The L.U.C Sport is COSC certified and water resistant to 100 meters. Happy Diamonds: The aforementioned Happy Diamonds model remains one of Chopard’s most popular and valuable models. The originality of the floating diamonds within the watch face helps the Happy Diamonds model maintain its value over time, making this the perfect time to sell your Chopard with Worthy. Once again, the Happy diamonds collection is COSC certified. By now we know that Chopard watches are COSC certified -- but what exactly does this mean, and more importantly, how does it affect the value of your watch? While the public perception is that all watches made in Switzerland are of equal quality, it is simply not true. While many of the watchmakers located in Switzerland adhere to extraordinarily high standards, the Swiss Official Chronometer Testing Institute, known as the COSC, decided that there needed to be a measurable standard in order for them to certify the precision and quality of watches. The COSC tests watches over a 16 day period in multiple positions and temperatures. If the watch does not maintain a strict accuracy of timekeeping, the COSC will not certify it. In other words, when a watch has COSC certification, you can be assured that the precision of the movements within the watch are of the highest quality. Needless to say, a COSC certified watch will most likely maintain more consistent value over time compared to a non-COSC certified watch. Loved having someone do all the work for me. Send us a photograph of your Chopard and include any important documents, previous appraisals, etc. Based on your description, preliminary bids and relevant transactions will be sourced to provide you with a trending market price. We will then send you a prepaid shipping label addressed to our state-of-the-art facilities so that the selected watch evaluator can perform a full appraisal and prepare your Chopard for auction. The expert will clean, evaluate and photograph your Chopard to be presented to watch buyers at auction with a comprehensive assessment of your Chopard using Worthy’s cutting-edge facilities and equipment. Interested buyers world-wide will place competitive bids on your watch. The highest bid will be yours to either accept or decline. Now that you have seen just how easy it is to evaluate and sell your Chopard with Worthy, get started today. 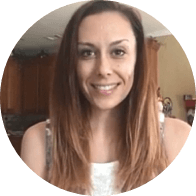 If you would like to learn more, feel free to contact one of our helpful representatives.